We talk a lot about the common pollutants PM2.5 and PM10, but we have never had the chance to compare them between other pathogens and an abundant red unit which flows in our bodies and it is called red blood cell. The red blood cells play an important role in your health by carrying fresh oxygen O2 all over the body. 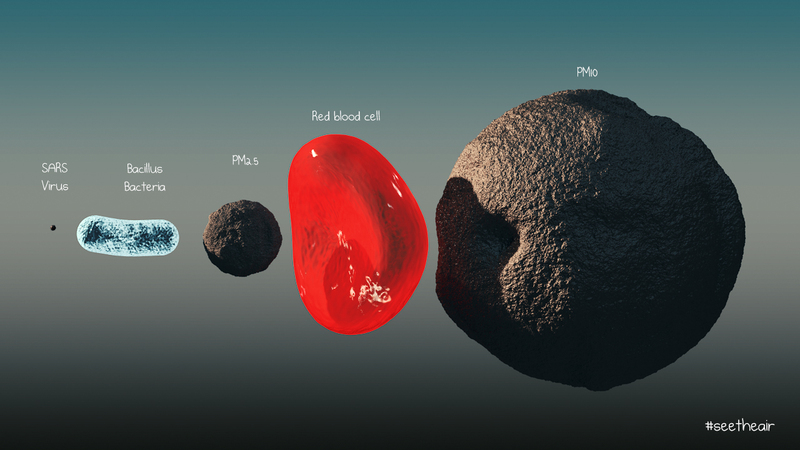 In the image below in which the elements are represented in real sizes a PM2.5 pollutant is actually smaller than the red blood cell and we can easily make the assumption that the PM2.5 pollutants can damage the red blood cells. Is that true? In a study that was conducted in 2003 they measured personal PM(2.5) and Carbon Black exposure in 50 students four times in 1 year and analyzed blood samples for markers of protein and lipid oxidation, for red blood cell (RBC) and platelet counts, and for concentrations of hemoglobin and fibrinogen. The results suggest that exposure to particles in moderate concentrations can induce oxidative stress and increase RBCs in peripheral blood. In a different study which was conducted in 2018 the results showed acute health effects from directly injected PM2.5, including rapid inflammation, oxidative damage, and routine-behavioral changes. 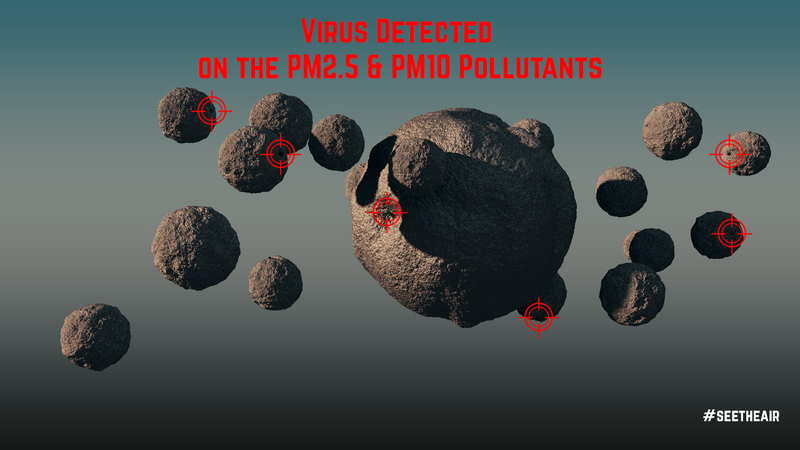 The particulate matter pollutants are also responsable for carrying pathogens on them into our bodies. For example, Pneumonia is an infection in one or both of the lungs, many germs, such as bacteria, viruses, and fungi, can cause pneumonia and the air pollutants can help them enter inside us and flourish faster. So much research re. the health implications of breathing fine particulates and so little action. Why do we waste $millions in departments of health and departments of the environment environment? This is the same like everything else, big companies rule the world and the unethical interests politicans have. This is the reason people need to learn who to vote.